An English speaking driver will be waiting for You dockside at the prearranged time that you decide to start your shore excursion in Naples. 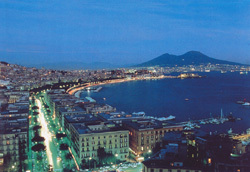 In the morning enjoy a fascinating sightseeing of Naples. Naples curves around one of the most celebrated bays of the world, the entrance to which is flanked by the islands of Capri and Ischia. The city nestles on hills between Mt. Vesuvius and the Campi Flegrei. A mixture of sadness and liveliness, colour and noise which are all part of the Neapolitan character make this town special and quite unique. 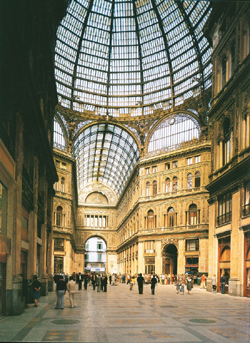 Naples is rich in history with buildings, churches and monuments dating back centuries. 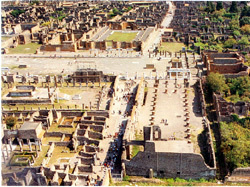 On our tour, one will have a sightseeing of the most important and beautiful area of this ancient city. There is the chance to admire along the way the Royal Palace, Plebiscite Square, Municipio Square with its huge medieval castle, the New Castle, and the "San Carlo Opera House". Emerging back in to the labyrinth of streets and alleyways of the "Spaccanapoli", pause to enjoy Napoli 's best espresso and local pastries at one of city's most popular establishments. After a casual lunch at a local restaurant, we'll explore the well-preserved Pompeii ruins that date back to 79 B.C. You'll have at Your disposal a personal expert local guide. He will bring to life the remains of Pompeii that will include many insights into how life was in Roman Times. 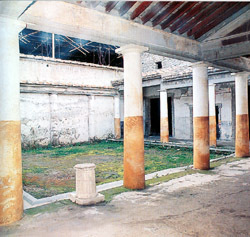 The visit in the excavations of Pompeii site lasts 2 hours. You'll tour will include: visits to the interiors of the homes of Pompeii's wealthier citizens, Ancient street café's where locals dined where you'll learn about traditional Roman cuisine, the theatres, the thermal baths. As well as enjoying numerous anecdotes about life in Pompeii that will include some of the Graffiti dating back to Roman times that are still visible throughout the ruins. THIS FULL-DAY GUIDED TOUR TO NAPLES AND POMPEII COSTS EUROS 230.